With telescopes, detectors, and particle accelerators, we’ve developed a rudimentary understanding of our universe. All the matter we see can be reduced to four fundamental forces involving at least 17 elementary particles. But these particles make up just 4% of all the energy in the universe; the other 96% remains a cosmic mystery. And while the physics can tell us the what, it fails to explain the why. Why do we exist? Why does anything exist at all? Is the universe just a simulation? A quantum fluctuation? One universe in an infinite multiverse? Whatever answers our scientific knowledge can provide are still nothing but speculations that seem to demean our existence as some meaningless accident or faulty experiment. At least the speculations of faith provide more comforting answers. But for many, a quantum fluctuation remains far more plausible than any interpretation of Genesis. Critical thinking and scientific observation are the best guides to the nature of reality, and wishful beliefs will get us nowhere. After all, the world’s dominant religions were founded on the obsolete assumption that man was the focus of creation, that Earth was the center of the Universe. The Hubble Ultra-Deep Field is an image of a region of space that is just one thirteen-millionth of the total area of the sky (smaller than a 1 mm by 1 mm square held 1 meter away). An estimated 10,000 galaxies are visible. In the last six centuries, we have discovered that we are anything but the center of the Universe. The Sun is one of 300 billion stars in the Milky Way galaxy, and the Milky Way is one of at least two trillion galaxies that we can see. The observable universe has a diameter that spans about 91 billion light years. If 91 billion l.y. were scaled to the distance from NYC to LA, then the distance to the nearest star (4.4 l.y.) would be the thickness of foil. And if 4.4 l.y. were scaled to the distance from NYC to LA, then Earth spans less than a millimeter. Beyond the observable universe, we don’t really know what exists. The galaxies in our observable universe are clustered along filaments of dark matter (invisible sources of gravity), and these filaments are connected in a cosmic web. Scientists think that the universe is probably infinite, or at least 250 times larger than the observable universe. 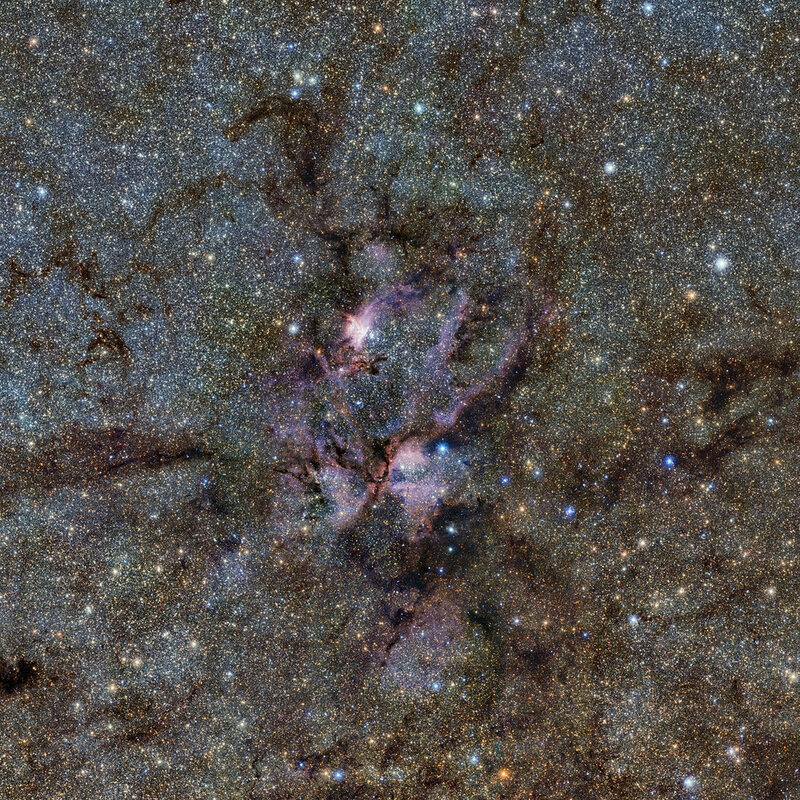 Physicists and cosmologists agree that the universe is “fine-tuned” for life. The laws of science, as we know them at present, contain many fundamental numbers, like the size of an electron’s charge or the constant of the gravitational force. And the conditions that allow for life can only occur when these seemingly arbitrary numbers lie within a very narrow range. If any of them were only slightly different, the universe would be unlikely to support the development of galaxies, stars, atoms, and life as we know it. But many dismiss the significance of this fine-tuning with the weak anthropic principle: the universe must be as we observe it to be, because otherwise we wouldn’t be here to observe it. Assuming we exist in an infinite multiverse, only in a universe capable of supporting life will there be living beings capable of observing and reflecting upon any such fine tuning. In other words, our universe just happened to have the laws that support the existence of sapient life. We are just a coincidence, and our reality is nothing but an accident. 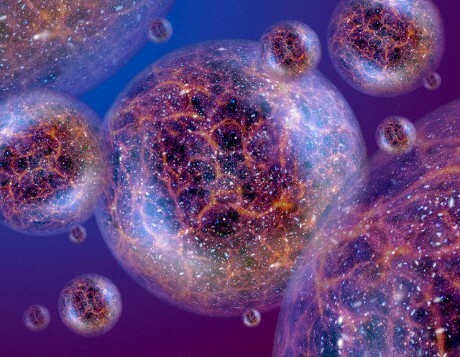 In a hypothetical multiverse, every universe is like a bubble popping in and out of existence. Each has its own set of physical laws, and ours happens to have the physical laws that allow for life as we know it. Likewise, many academics have adopted a materialistic philosophy, which assumes that nature has no purpose. From the complexity of life to the brain’s awareness, everything can be explained by the aimless laws of science. At the subatomic scale, our entire existence can be reduced to a coincidental sequence of physical interactions—of particles bumping into particles. We are, in the grand scheme of things, completely irrelevant. There is no god, no deeper meaning to life, and certainly no higher purpose for us to realize. Like every other species, we will vanish in the blink of an eye. Perhaps the materialist is right, and there is no why. Some of the brightest minds think that we’re just a blip on the radar, fated to extinction. But while nobody can prove that we matter, nobody can prove that we don’t matter. Not even the materialist can claim with absolute certainty that our existence is meaningless, that our intuition is completely mistaken. The anthropic principle is certainly plausible, but it hinges on a hypothetical multiverse that is currently unverifiable. And while the reality of other universes might be interesting to ponder, there is a reality that we cannot ignore: the healthy mind is inclined to consider itself relevant, and its vitality is rooted in purpose. We all want to exist, but no one wants a meaningless existence. As small as we are, as insignificant as we may be, the majority of the world clings to a faith rooted in the notion that the universe was made for us, the human species. Even when reason says otherwise, the human mind claims that we are indeed the center of the universe. The image of God. The creator’s purpose for creating. So what if our sense of relevance isn’t entirely unfounded? What if our search for meaning isn’t all that vain? “If there is any optimism for mankind, any chance of unifying our species, then it remains in the possibility that our existence is, in fact, bound with a greater purpose. Because human nature, as hopeless as it seems, is our only hope.” When considering the fact that 85% of the world is religious—a figure that is expected to rise—it seems that our materialistic speculations will be of little benefit to our species. Because of human nature and its teleological inclinations, the most meaningful ideas inspire the greatest cooperation, and concepts that impart an existential objective will be the most useful for the preservation of humankind. “If humanity is to survive, then we must mobilize the intellectual community to take its place as the head of the human system. We need an agreement among the thinkers who will ultimately guide the future of our species” (Scientists & Sociopaths). But such a unity seems unlikely given the many ideological differences among our academics. Of particular concern is the pervasiveness of our nihilistic assumptions: everything is chance, there is no meaning or purpose, and we may as well be nonexistent. These are dangerous notions because, as cognitive psychologist Steven Pinker notes, “pessimism can be a self-fulfilling prophecy.” If we cannot let go of extinction, then we may doom ourselves to extinction. If we fail to hope, then we will remain hopeless. Thus, we can no longer afford to demean life as some chance anomaly, or the mind as some blind illusion. We must consider the possibility that we exist for a reason, because intellectuals and imbeciles alike are bound to this principle of human nature: cooperation requires a unifying objective. Scientists and sociopaths, like everyone else, will not work together without a reason to. And since we cannot prove the absence of purpose, it would be wise for us to assume a purpose that agrees with both our logic and our intuition.